Vinimates are the gifts that keep on giving! The Nightmare Before Christmas makes its grand entrance to the Vinimates vinyl figure format! Sculpted in the style of a Minimates mini-figure, this 4-inch PVC figure strikes a dynamic pose, and features a ball-jointed neck to further customize the pose. 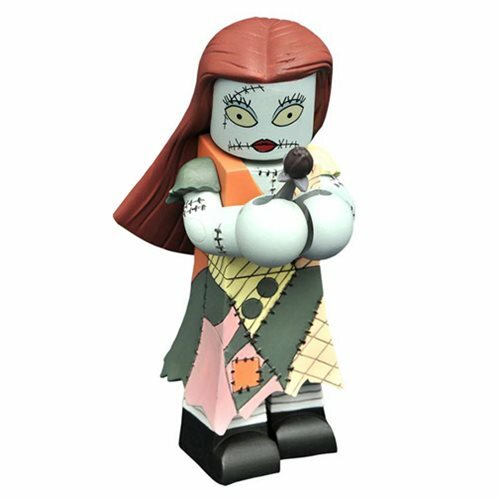 This Nightmare Before Christmas Sally Vinimate Figure comes packaged in a full-color window box. Ages 13 and up.